ective than the outdated methods using cables that have so far been common practice. These products are available as insulated metre busbars in the standard version. 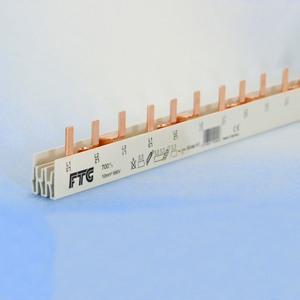 Using these busbars, any connections can be cut to the required lengths for fast, flexible connection. When the end covers are then attached, customers have a technically safe product in protection category IP20, for use in individual applications. If customers require, the busbars can be manufactured in the required length or division units in our factory in Triberg. ort to a minimum and to avoid installation errors, a new generation of the Eurovario system with welded terminal is available.